The Red Sox played mind games with the Astros throughout the ALCS, and it paid off. "I took it the other way around because they openly said that they were playing defense," Cora said. "They said they were checking on us if we were stealing signs, or doing something wrong in the dugout. … I took it the other way around. I was like, 'Paranoia is working for us.' Like they are panicking. Throughout the series we did a lot of stuff as far as like dummy signs and all this stuff to keep the paranoia going. "That is part of the game - tipping, stealing signs, relaying pitches and paying attention to details. That is the way I took it. If they feel that way about us, we might as well push the envelope and keep doing a lot of things that are going to make them uncomfortable and you saw it. They kept changing signs and the tempo of the games was awful, but that worked into our advantage, I think." 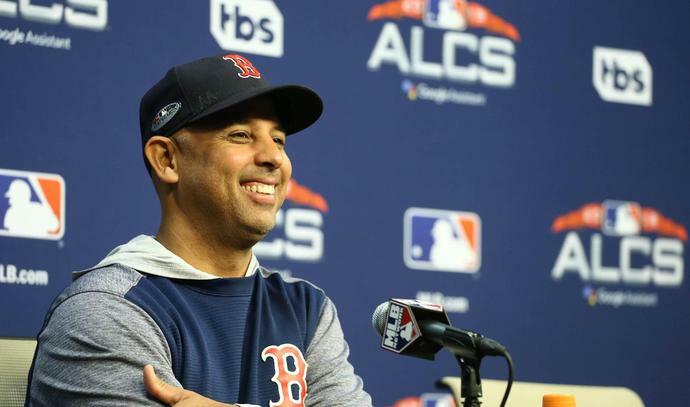 Alex Cora's strategy apparently worked to perfection. After dropping Game 1, Boston won four straight games to advance to the World Series.